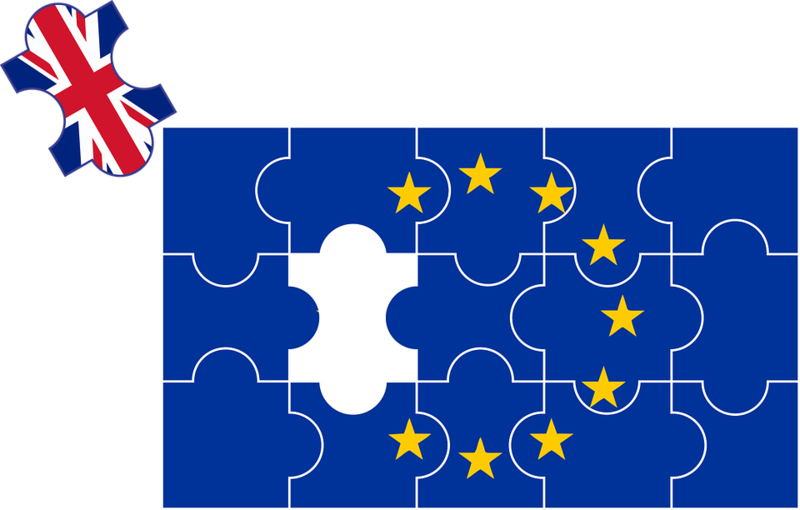 This agreement dealt with the process of the UK leaving the EU, describing the relationship between the EU and the UK during a transitional period from March 29th, 2019 ( “Brexit Day”) till December 31st, 2020. From January 1st, 2021, the UK and the EU would have entered their new relationship. However, there have been major objections against this agreement. The main issue had to do with the Irish border. As part of the Irish peace agreement (Good Friday Peace Agreement), the border between the Republic of Ireland and Northern Ireland should be kept an open border. Such an open border is not compatible with a hard EU border on the one hand, and a UK with no inside borders on the other. The EU has insisted there should be a guarantee that there would be no hard border between the Irish Republic and Northern Ireland, even if the negotiations on the new relation between EU and UK would not lead to a new relationship. This part of the agreement was difficult to digest by the hardline Brexiteers. Another point was also problematic: this agreement would mean that the UK would for a while still have to work according to EU rules, and even see new EU rules becoming applicable, without the UK having anything to say about them. At the other end of the spectrum are the Members of Parliament who want to remain in the EU, or stay as close as possible to the EU. They consider this agreement a major step toward leaving the EU. It seems both ends of this spectrum met one another in voting this agreement down. The UK could still leave the EU with an agreement, smoothing out most of the disruptions caused by this significant change. This is an unlikely option, because the EU has made clear the rejected proposal was the best possible compromise. Considering the gigantic loss, it is unlikely minor changes, or promises made by the EU outside the agreement, would make Members of Parliament accept the agreement. An new agreement may be negotiated, but there is very little time for that. The UK could ask for an extension of the two-year period that is part of the Article 50 procedure by which the UK is leaving the EU. The EU has indicated this extension is possible, but only with good reason. As the proposed agreement is not accepted by Parliament, it is clear the negotiators did not have a proper mandate. It is also clear that the current government is lacking such a mandate. So it can be expected the EU will allow an extension under the condition they will be facing negotiators with a new and clear mandate. This would imply a new referendum, or even new elections in the UK. The UK could cancel Brexit altogether. Now that it has become clear what Brexit actually means, and how it impacts businesses and trade with the EU, the British people may have a different opinion on whether they should leave the EU. It is unlikely Theresa May will propose this option, as she has promised to deliver on the outcome of the referendum. However, she may call for a new referendum. The challenge would of course be the question that the voters must answer. This could be between no-Brexit or the agreement, the agreement or no-deal, no-Brexit or no-deal, or some kind of three-way vote or another alternative. Each of these questions would have its own disadvantages, making a new referendum a delicate matter. The UK could leave the EU without a deal. It is highly likely the no-deal scenario will become a reality, unless the Brexit date is postponed. As indicated above, this requires the UK to offer something substantial, like a new referendum or new elections. Over the coming days this situation will further develop, depending on the dynamics of the interaction between Parliament and government. The current unclear situation has not taken the no-deal Brexit on March 29th off the table. This has also been signaled by EU officials and EU Member State’s leaders. Preparing for this scenario means that you have to investigate if your business depends on goods, services or people crossing the hard EU border that the UK leaving the EU would create. This can have an impact on any company world-wide, because you may for example depend on a certificate from a UK-based Notified Body, or you rely on a UK-based Authorized Representative. Your medical device may contain raw materials, parts or components that have to cross that border, etc. Emergo by UL will follow developments closely and keep the medical device community up to date as we learn new details.